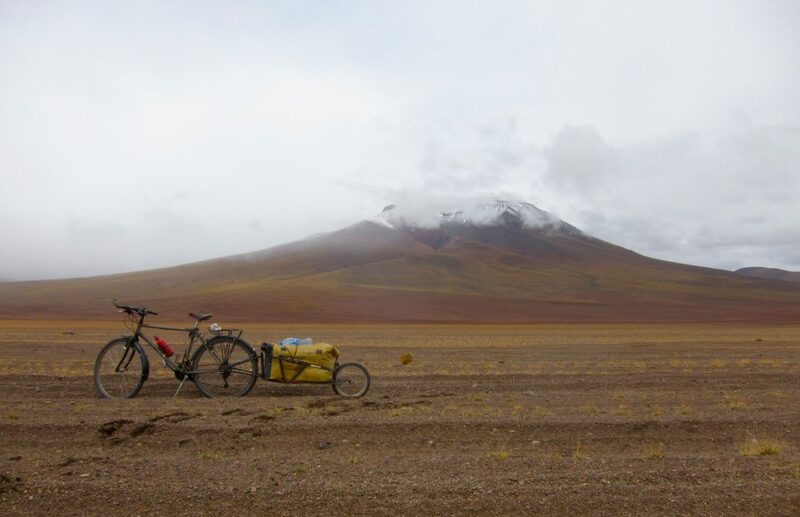 Dashing through the headwind (and rain)… Sometimes shoved off the road (by those damn drivers) O’er the Altiplano we go, Panting all the way “AH-UH-AH-UHHH” Oh, what fun it is, to ride, on a two-wheeled-touring-rig-pulling-a-beast-of-burden name ‘BOB’. Seriously tho’, it’s a breath of fresh air to finally be back on the road, after what? Four… Continue reading Riding our way into a New Year! Machu Pikchu… brought to you, by, Saṃsāra! The two months in Europe came to an end. I scheduled a flight back to South America while Paul stayed in Spain. With two weeks to spare, I wondered, what would I do when I returned back to South America? Between my plane landing in Guayaquil Ecuador, and the bicycles stored south in Lima, Peru,… Continue reading Machu Pikchu… brought to you, by, Saṃsāra! A journey in France.. and Spain! By last minute decision, I joined Paul for a trip to Europe. Two years ago, I considered making a bike tour in Europe, and although that would have been an amazing journey, my decision led to a good compromise- traveling Latin America with Europeans. So it turns out, two years later, I go to Europe… Continue reading A journey in France.. and Spain!